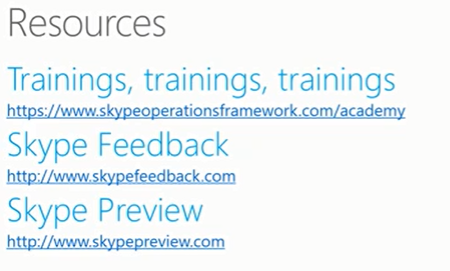 I’ve seen this video available for some time on Skype academy and i finally got round to watching it so here’s a summary of the session and some added information. I hope this useful. Great to see Cloud PBX users can leverage an on premises Exchange deployment for Cloud PBX Voicemail. Watching the video there are a number of prerequisites and requirements for enabling this and there could be an element of confusion around the use of Azure Voicemail and Exchange UM. Azure VM is still used for voicemail with Exchange server on premises. 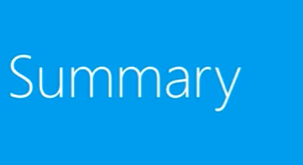 Also key to note there are some feature missing when using Azure VM and also check supportability of existing Exchange Server deployment first and check endpoints compatability. Previously voicemail options for Cloud PBX relied on having your mailbox in Office 365 (Exchange Online). Voicemail uses Azure Voicemail not Exchange UM and this still seems to be the case if you have Exchange server on premises. 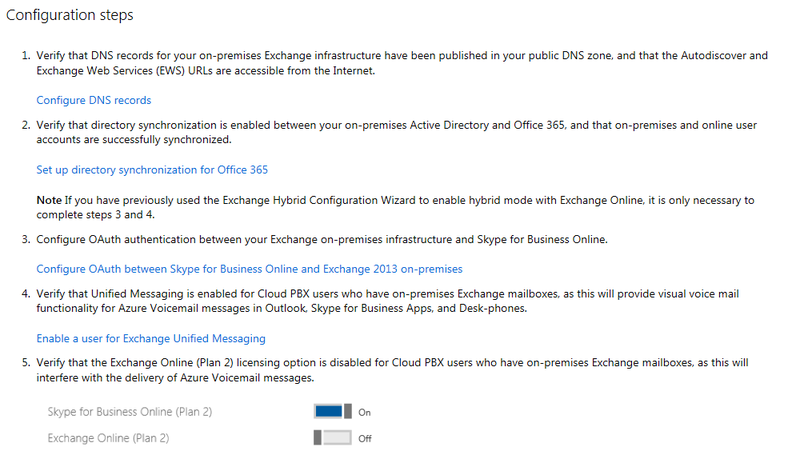 KEY POINT – Voicemail is ALWAYS provided by Azure Voicemail it will NOT be provided by Exchange UM. However Exchange UM policies are required to enable client side features. Voicemail play in Outlook. voicemail displayed in voice tab in SfB client. Does require a basic exchange dial plan to be configured. 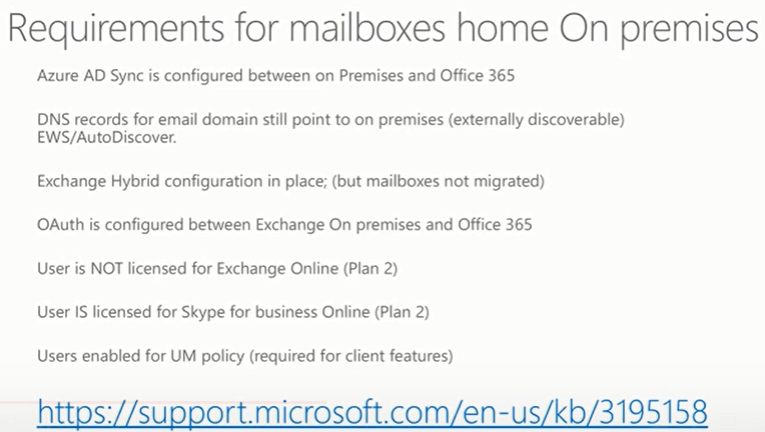 UM Mailbox policy to be defined manually with on premises. Voicemail policy is automatically assigned when online. Manual process on premises. For admin you have to manual configure voicemail on premises! must remember this. KEY POINT – Also published is a supportability matrix which is key to check first. Note version of Exchange must be Exchange 2013 CU12 which single AD forest. There are a number of endpoints as well so check this. 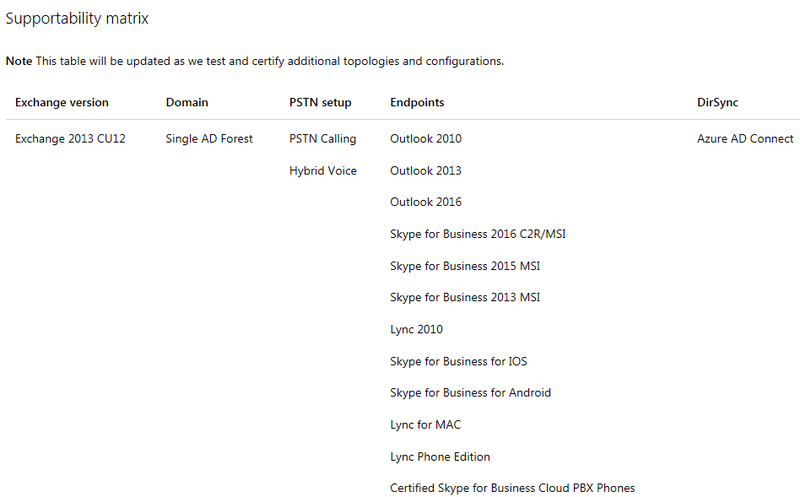 Lync 2013 client seems be classed as SfB 2013 MSI. Azure VM elevates mailbox based on licencing to discover mailbox locations. If it doesn’t have a Exchange Online licence it fails and access on premise exchange via EWS and Autodiscover. DNS must be available and accessible externally. Provides best experience for end users and callers by utilising caching. Having Exchange UM policies may cause confusion! i believe it will. Although UM is not used for voicemail processing UM policies are required to be configured. Ouch. 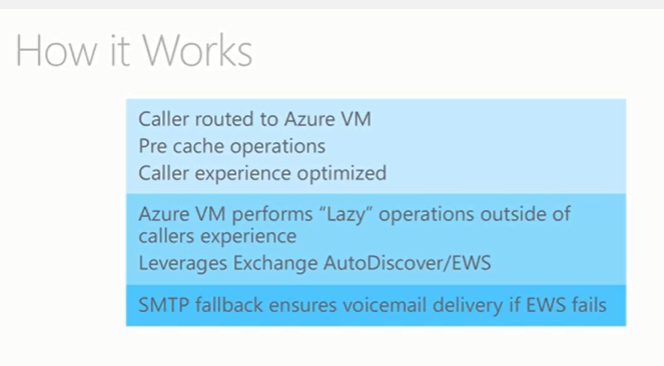 After vm recorded Azure VM perform lazy back end ops to ensure the next caller has better experience. Lazy ops outside of user experience so no delays or long pauses. Does require and leverage EWs and Autodiscover externally. SMTP failback process, if EWS fails then SMTP will be sent to users inbox. With diagram as well. Difficult to read fully but you can see how it works. If it find cached information this is played to use, if greeting not found a default greeting will be played. Azure VM will try and authenticate online first, if found send to Exchange online vm if not found route on premises exchange. EWS and Autodiscover used to locate mailbox location. this process could take up to 30 seconds. After this the information will be cached for the next caller. SMTP is fall-back if EWS if unavailable. 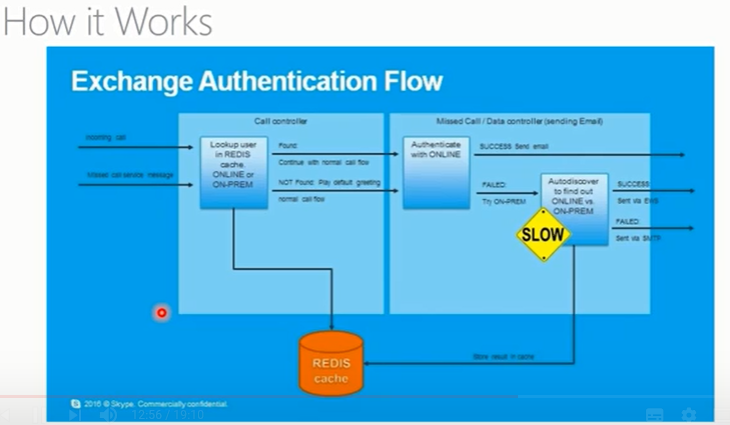 KEY POINT – Azure relies on Exchange UM only for client side features to work and be visible. NO UM engine is leveraged for used. Hope this helps and you found it useful.